When I was a child, I was fascinated with dinosaurs, and I’m certain I was not alone in my pursuit of all things dino during the single-digit years. In fact, while I know my parents were startled by some of the imagery in Jurassic Park, I know that I was glued to every movement and awestruck by the incredible creatures walking, running, eating, and raising families on the screen. It’s still a wonder to me as to how I didn’t grow up to cling to a toothbrush in a desert somewhere. When Disney’s Animal Kingdom opened in 1998 I was well on my way to becoming a teacher, but that didn’t mean that a part of me didn’t feel the tug of the extinct beasts whenever I walked through Dinoland U.S.A. In fact, I still feel that pull today. 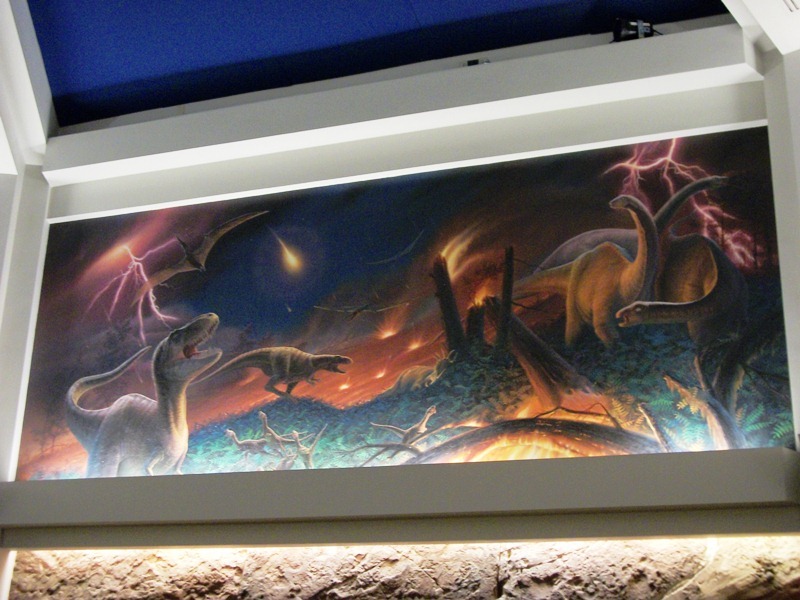 The Dino Institute is home to the time traveling marvel known as the CTX Time Rover. The Time Rovers are what pull people through the doors, and rightly so, but part of me likes to linger in the museum exhibit area of the queue. 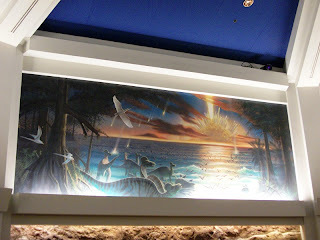 The small displays reminded me of these marvelous creatures were introduced to me as a child. 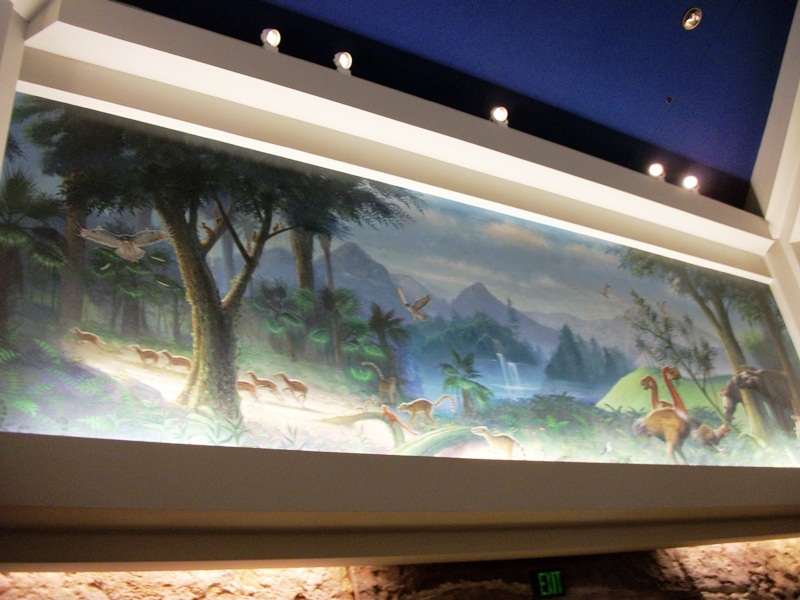 The murals that display specific points in the lives and extinction of the dinosaurs, in the same room as the fossilized remains of the carnotaurus, could have filled any number of natural history museums I ventured through in my younger years. 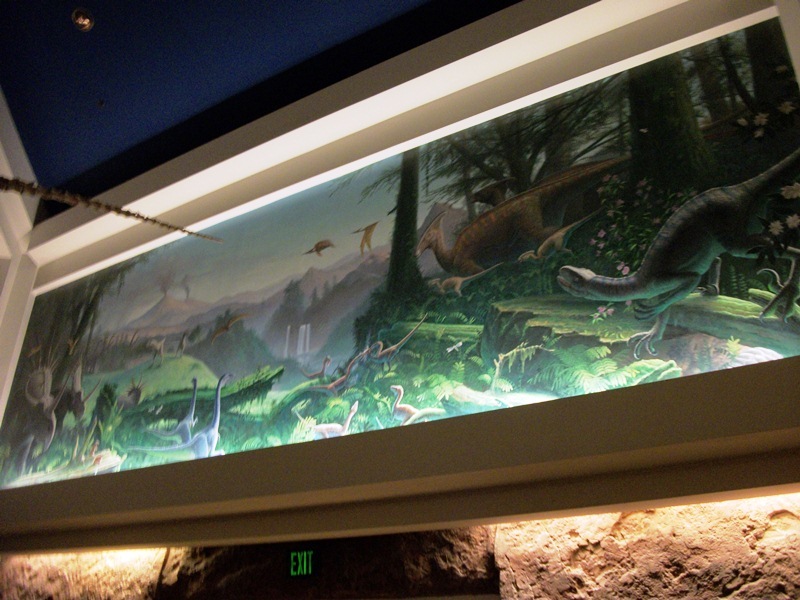 Let’s venture back and look at those murals, one of the quaint exhibits of how dinosaurs were presented to us before Time Rovers blasted us to the past.